Playing along with CAS(E) this Sketch #255 this week and I definitely CASEd this idea from the fabulous Sandy Allnock (see her tutorial here). 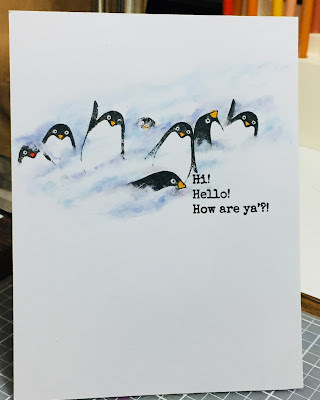 I used Ellen Hutson's Arctic Pals set for the penguins, but instead of Copics I used colored pencils and watercolor crayons. Believe it or not, I found this fairly simple looking design to be fairly difficult to duplicate. But fun! And the result is pretty COOL (get it?). Thanks, Kathy. Always learning here! You did a fantastic job CASEing Sandy's card, Kathy. This is so cute and well done. Absolutely beautiful scene ! Your snowstorm is so amazing ! 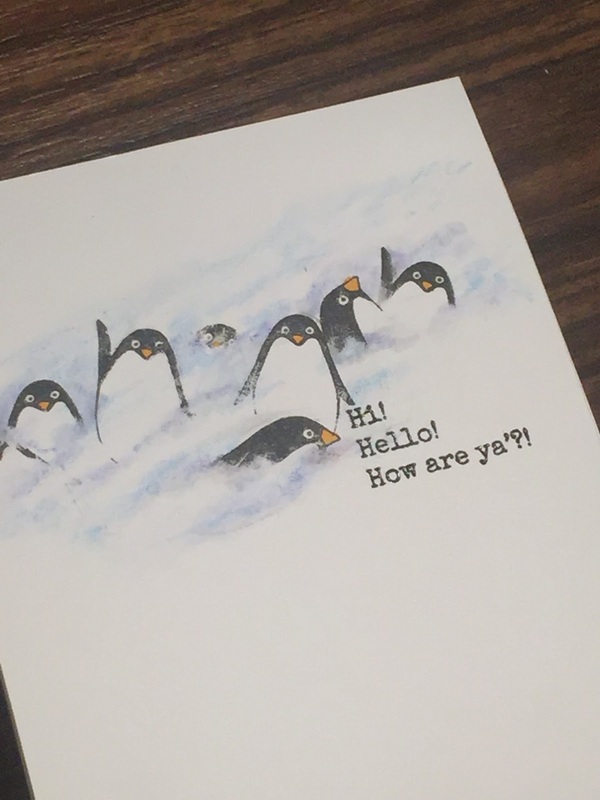 Love these cute penguins saying hello in the snowstorm. Fabulous work and great take on our challenge. Thanks so much for sharing and for playing along at Less is More ! Oh, I love this! The movement you achieved is amazing! 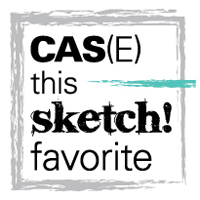 Congrats on being a CASE this Sketch favorite! Wow...terrific design. And super cute! Thanks for sharing at Less is More! 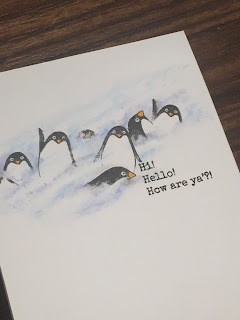 Worth persevering with Kathy - this card is CAS perfection and those penguins are beyond cute!